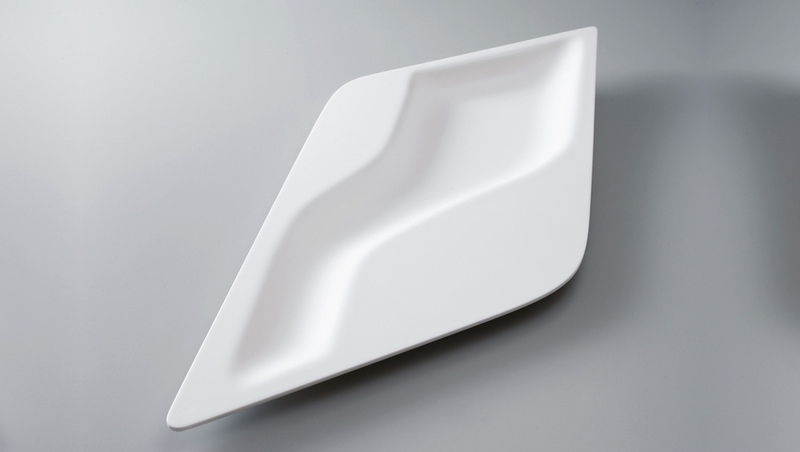 FOSSIL tray is a result of a design research which explores natural phenomena. It is a morphological gesture, were fluidity and dynamism play the main roles. There is a sense of freezing its ‘morphing process’ but at the same time lines and geometries generated sense of three-dimensionally movement. It is a fossil, which looks for a way to escape its destiny… remaining ‘alive’. 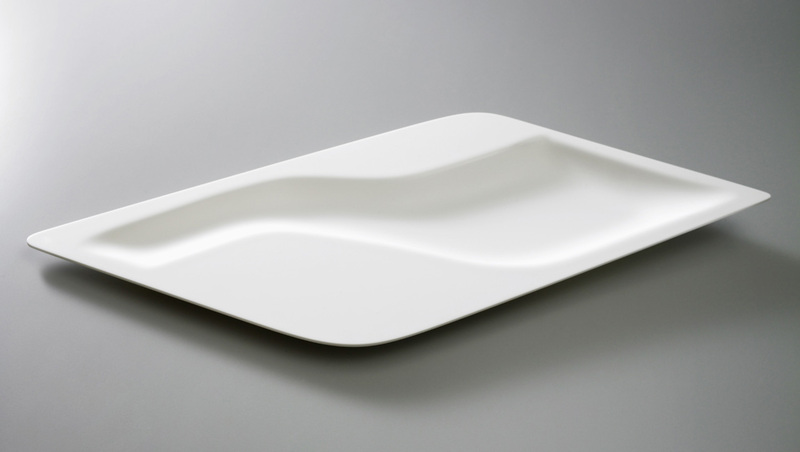 Its seamless landscape form has been made possible using the quality of Corian, just thermoforming a 4mm thickness material. To celebrate the 40th anniversary of DuPont Corian© solid surface material, DuPont presented in Milan, during the Milan Design Week 2007, Corian© “40 years / 40 designers”, a travelling exhibition consisting of new creations (table/desktop accessories) by 40 designers from around the world. After having been exhibited in Milan, the exhibition moved to other locations, including New York during the ICFF 2007, London during the 100% Design, Frankfurt during the Design Annual, Paris, Oslo and Bordeaux.